As announced during the anti-piracy chapter of the recent London Conference on Somalia, the United Arab Emirates will host its second International Counter-Piracy Conference next month. The event, which follows a similar initiative convened in April 2011, will be held in Dubai, UAE on 27-28 June 2012. The Conference aims to further advance public-private coordination and partnership to combat maritime piracy, bringing together high-level government officials from more than 50 countries, senior representatives of international organizations and CEOs from leading global companies from maritime-related businesses. 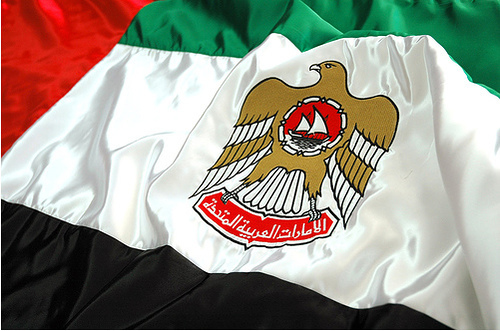 The UAE, the current chairman of the Contact Group on Piracy Off the Coast of Somalia, has since long engaged in counter-piracy initiatives in the Gulf of Aden and the larger area of the Indian Ocean. The official website of the Conference can be found here. Notably, some of the main presentations and position papers are already available, giving a sneak preview of the upcoming debate. Since UAE is one of the countries that has been hardest hit by piracy threats, it would only be logical for this country to play an active role in the fight against maritime piracy and so it is good to see that Dubai will be hosting this year’s second Counter Piracy International Conference. This conference will indeed build the momentum in the fight against maritime piracy. Indeed, UAE current counter-piracy efforts include the prosecution before its national courts of suspected pirates. Most recently, 10 Somalis have been tried in Abu Dhabi for the attack and attempted highjack of the UAE owned MV Arrilah-I in April 2011, off the coast of Oman. The crew was rescued after a 30-hours ordeal huddled in the vessel’s armored citadel after a raid by US and UAE commandos. The accused were convicted and sentenced to 25 years in prison. Hi our beloved prima minister, i say thank you for call and arranged somali onference, but some somali delagate especially president of Puntland and his minister they have created puntland piracy, especially the father and founder of puntland piracy Mr. Abdirahman Faroole,we are somali Diasporo from uk, and request frst to arrest him,those participate conference are not clean except the prima minister Mr Abdiiwelli.